Marvel’s Spider-Man is here, and critics are raving. Our very own Chandler Wood is one such critic, lauding how the game handles Peter Parker’s personality, personal life, and superhero antics. 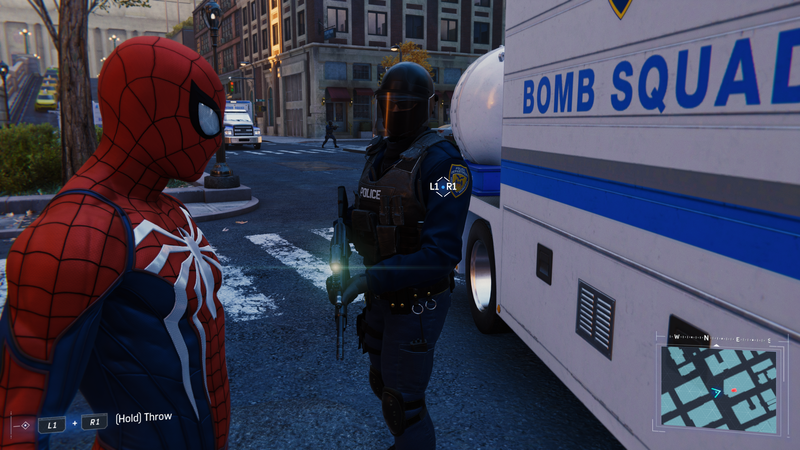 The game comes with a lot of baggage, as it attempts to be greater than all superhero and Spider-Man games before it. Of course, most licensed comic book properties are filled to the brim with Easter Eggs and subtle nods to surrounding lore. Marvel’s Spider-Man is no exception; it’s got to out-do the heroic games around it! These Easter Eggs come in a few different forms. Landmark locations, collectibles, story beats, and wink-and-nudging lines of dialogue await keen-eyed fans. Here are just a few of the prominent examples we noticed, complete with fun Spidey pics. As you play, please keep your eyes peeled for the tidbits we’ve found. But more importantly, be on the lookout for Easter Eggs we have either missed or omitted! If you spot something interesting, be sure to let us know in the comments below.